A new partnership that will plant one million extra trees across England in the next four years, was launched by Defra Minister Jim Paice today. The Big Tree Plant is the first government tree planting campaign since the 1970s and will plant trees in urban areas that need them most, harnessing the Big Society to deliver benefits to local communities. The campaign brings together civil society partners and conservation organisations, such as The Tree Council, Woodland Trust, Trees for Cities and England’s Community Forests, working with Defra and the Forestry Commission. The campaign is supported by grant funding of £1 million per year for the next four years and will get more people in local communities planting and caring for trees. In recent years the rate of trees being planted annually in urban and semi-urban areas across the country has declined. The Big Tree Plant will increase the number of trees being planted in these areas by supporting community groups and organisations to establish or expand projects to plant and care for trees. Groups that are interested in planting trees may apply for grant funding from today. Projects will be encouraged in areas of greatest need. Keep Britain Tidy - 100,000 trees across 750 sites. 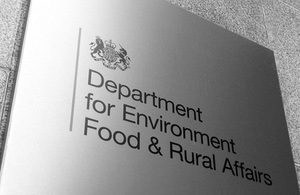 The campaign is included as a priority in Defra’s Structural Reform Plan and Business Plan. The campaign has the support of major bodies, environmental charities and agencies including BTCV, Civic Voice, the Department for Communities and Local Government, Community Forests, Groundwork, Keep Britain Tidy, LGA, National Forest, the Tree Council, Trees for Cities and the Woodland Trust. NHS Forests - will work to improve health of staff, patients and communities through increasing access to green space on or near to NHS land. They will green the NHS Estates and plant one tree per employee amounting to 1.3 million trees within the next 5 years. This will encourage greater social cohesion between NHS sites and the local community and will bring together a range of professionals and volunteers. The Tree Council - will work with the local council and volunteer tree wardens in the Walsall area of Birmingham to plant a community orchard with the local community as the first phase of a longer term initiative for planting fruit trees in Walsall. The community orchard will be open to volunteers and the public alike, providing a valuable green space close to the town centre which will encourage local people to come together and get involved. Keep Britain Tidy - will work with BTCV to deliver this tree planting, building on their existing programmes in England including Eco-schools, The Big Tidy Up and Green Flag Park sites. The trees will be planted in areas that are accessible to local communities and will be planted by children, volunteers and community groups.